The World Water Day, designated by the United Nations on March 22nd, is the day used to advocate for the sustainable management of freshwater resources. As a way to inspire people to learn more about water-related issues, FOL member Alba Aguión has organized an ocean science outreach event last week in Barcelona. Activities have taken the format of hand-on experiments and interactive talks and have been organized with the support of Somos Cientificos, after Alba was awarded a prize due to her participation in the contest last year. The event was held at Vil-la Uránia, an historical building famous for being the working site from where the scientist Josep Comas discovered 20 new starts. Besides the support of Somos Cientificos and Vil-la Uránia to organize the event, Alba has counted with the help of Pablo Rodríguez Ros from the Department of Marine Biochemistry and Global Change from the ICM-CSIC in Barcelona. 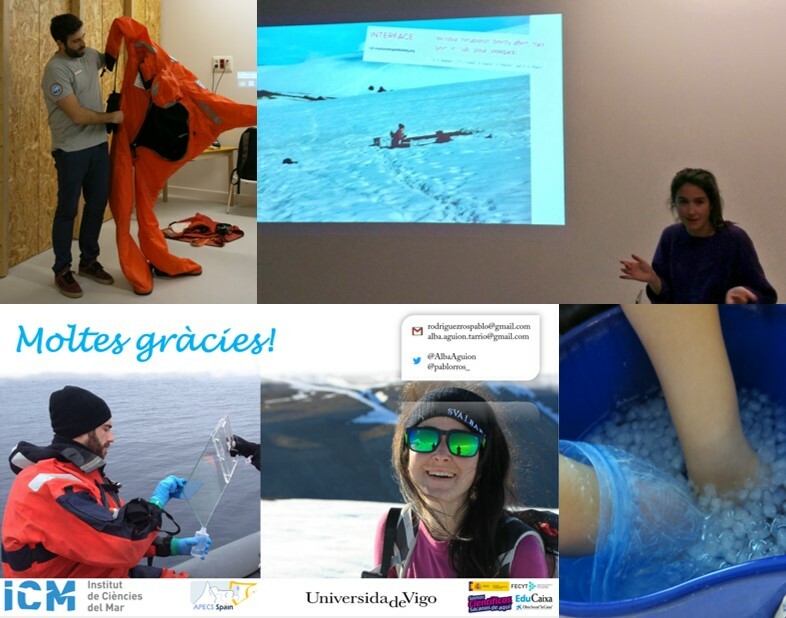 Both PhD candidates, using their experience as scientists that have worked in the polar regions, led activities during the event to talk about important water-related issues such as the formation of glaciers, the adaptations of marine animals to cope with the cold and the impacts of climate change in the oceans. From FOL we thank the opportunity to Somos Cientificos and Vil-la Uránia for letting us commemorate with adults and kids from Barcelona such an inspiring day! Long life to our oceans!